as Reviewed by Travellers on Tripadvisor the World’s Largest Travel Site. 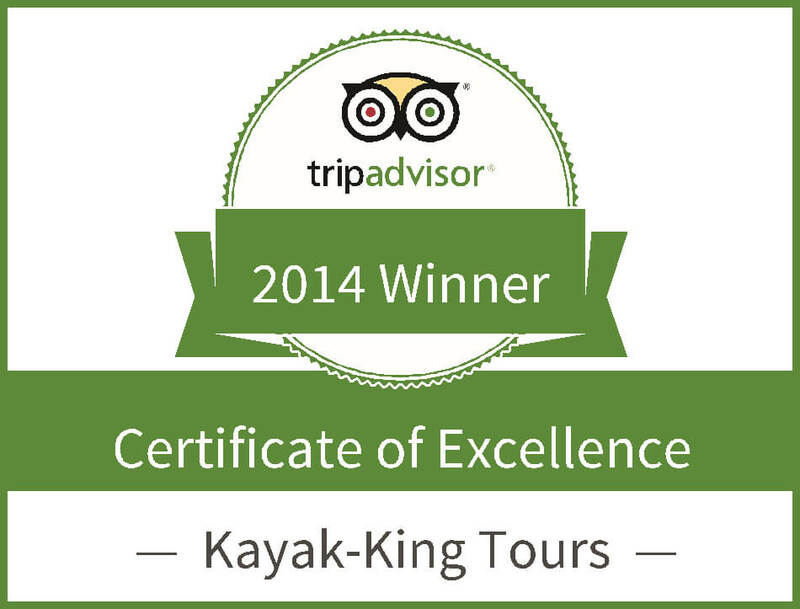 22, May 2014 – Kayak-King providers of kayaking trips along the Pembrokeshire national park, today announced that it has received a TripAdvisor Certificate of Excellence award. The accolade, which honours hospitality excellence, is given only to establishments that consistently achieve outstanding traveller reviews on Trip, and is extended to qualifying businesses worldwide. Establishments awarded the Certificate of Excellence are located all over the world and represent the upper echelon of businesses listed on the website. When selecting Certificate of Excellence winners, TripAdvisor uses a proprietary algorithm to determine the honorees that take into account reviews ratings. Businesses must maintain an overall bubble rating of at least four out of five, volume and recency of reviews. Additional criteria include a business’ tenure and popularity ranking on the site. We are very proud to have been awarded this and are committed to continuing our excellent customer service.